Comments: Silvery foliage is a conversation piece and it grows in both a sunny rock garden as well as light, open shade. The easy-to-grow, wooly lip fern provides interesting underside of growth looking like mealy bugs. 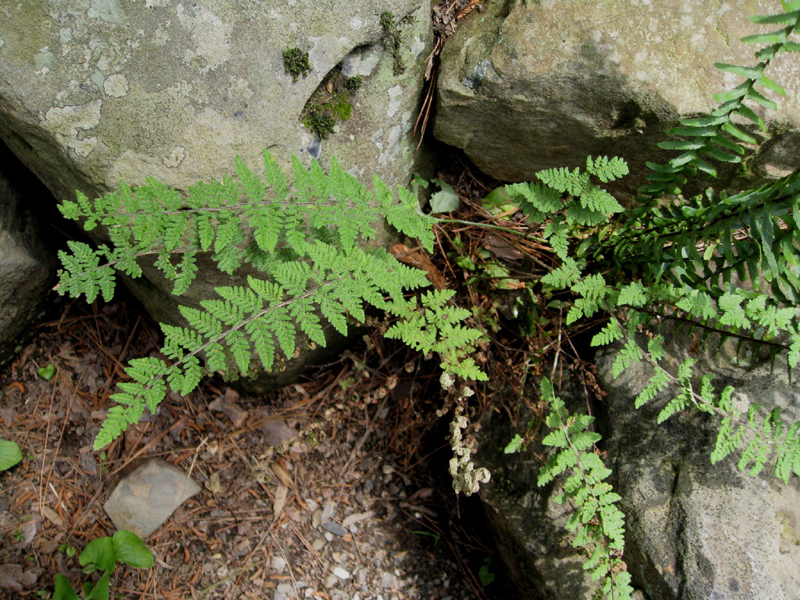 A relatively small fern native to the southeastern part of the USA.